December can get expensive. Between getting glam for holiday parties, fancy dinner with friends, and of course, Christmas shopping, our wallet begins to look empty. While it’s not necessary to shower your loved ones with gifts this season, I also know the pure joy you get from watching your friends open their gifts. The holidays are all about bringing kindness and happiness to those around you, but it doesn’t have to come with a hefty price-tag. Today I’m sharing some gift ideas, that although may be cheap, will still bring pleasure to those that receive them. 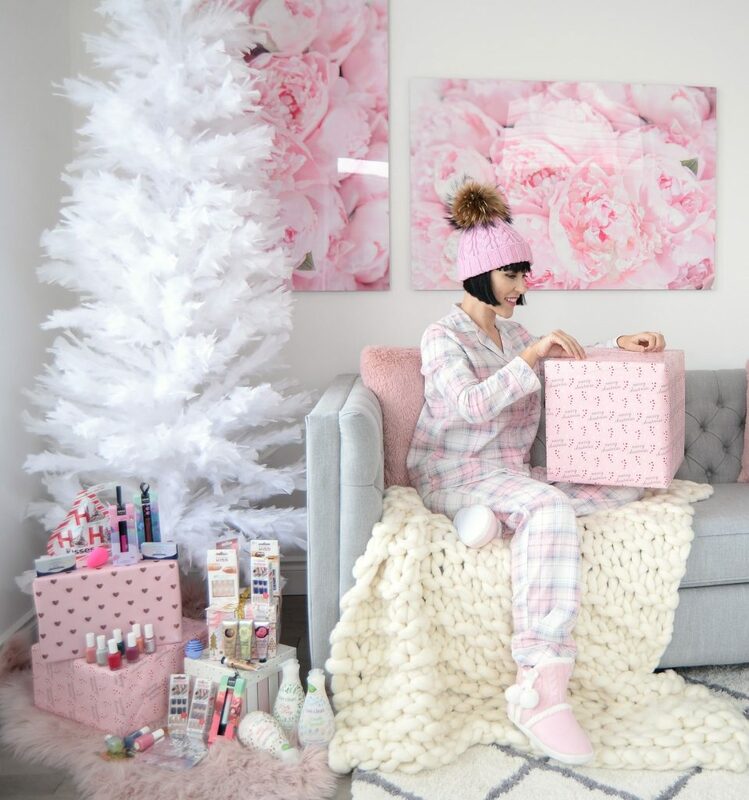 Everything on this beauty list will ring in at under $10, proving that you don’t have to spend a ton of money to find that perfect last-minute presents. We all have those friends who hoard nail polishes, so why not give them a new shade to add to their collection? As much as we love treating ourselves to a mani/pedi at the spa, sometimes we just don’t have the time to make the journey. Nail polishes are the perfect gift for those friends who like to change up their shades as often as they change outfits. A fresh new polish shade can really brighten up any look and it’s always this-season’s hottest accessory. 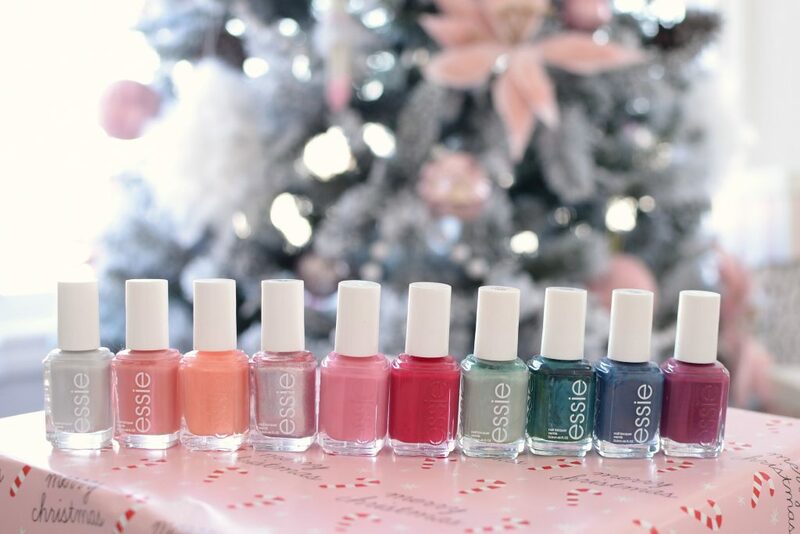 Essie is perhaps the most famous and well-loved nail polish brand out there, and with good reasons. Affordable, impressive shade range, amazing formula that’s pigmented and doesn’t chip within the first few minutes, and even the bottle looks chic. Every season the brand releases new colours to their lineup, ensuring you always have the hottest and trendiest shades on the market. Each retail for $9.99. Keeping with the nail theme, for those not blessed with beautiful nailbeds, or strong nails in general, might appreciate imPRESS Press-On Manicure or KISS Ready to Wear Nails. These press-on nails have come a long way since the 80’s and now are incredibly trendy and popular. Quick and easy to apply, without a trip to the nail salon. It’s a convenient way to achieve spa-quality manicures from the comfort of your own home. Its no muss, no fuss application comes in an array of shapes, sizes, textures and colours. Each kit features 30 different nail sizes, 24 are usually solid in colour, with 6 accent designs to have fun with. 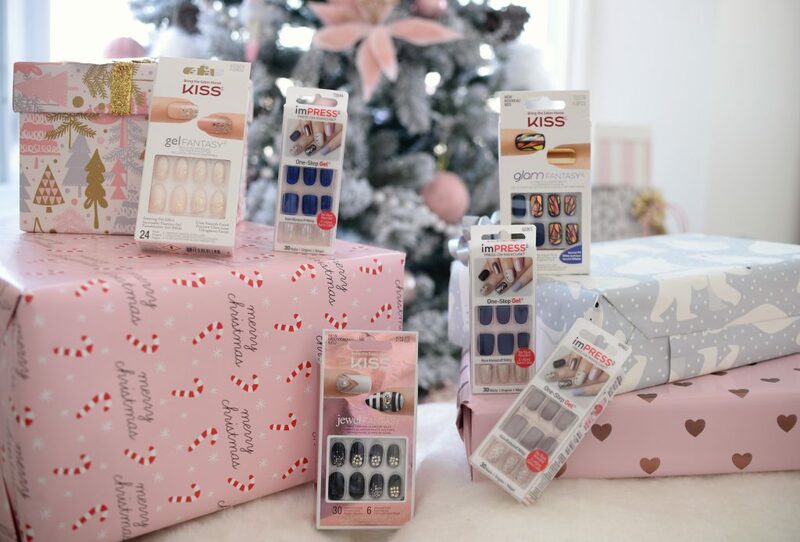 The more packages you buy, the more creative your friends can get, as you can mix and match the sets to create your own unique mani. Each set retails for $9.99 to $11.99. 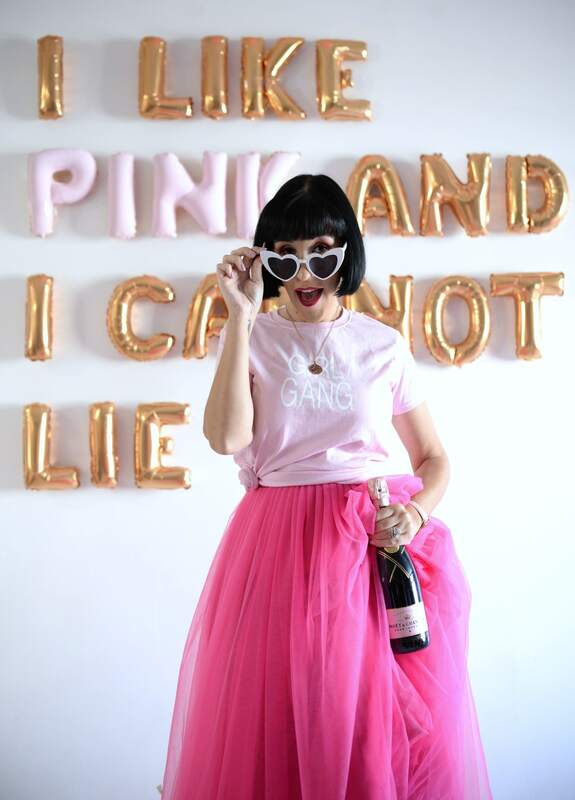 When it comes to treating the ladies on your list, diamonds might be a girl’s best friend, but in recent reports, it reveals that lipsticks are on the top of the females’ list and the perfect present. 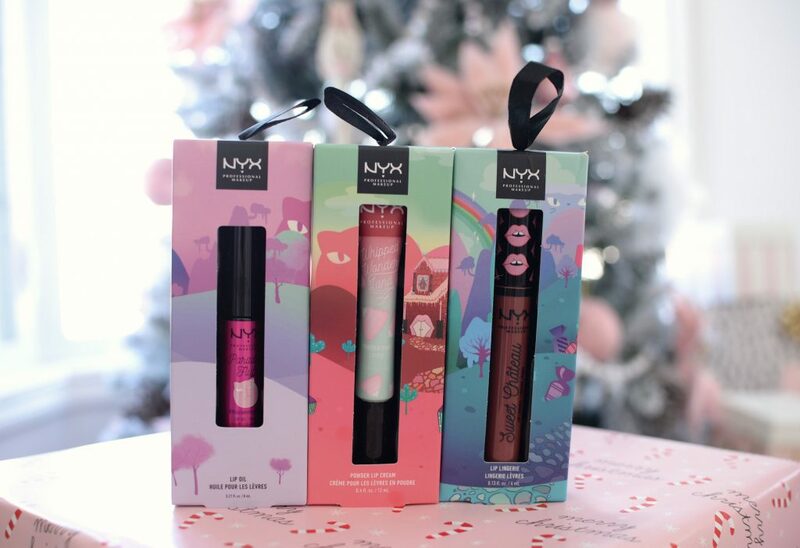 Everything found within the NYX Super Trip Holiday Collection is adorable, but all the lippies come individually wrapped like an ornament and perfect for any beauty lover on your list. Whether you pick the Lip Oil, which is infused with skin-loving oils to deliver pure hydration with a sheer pop of shiny colour, the powder lip cream with its mousse-y like texture that creates an almost whipped effect on the lips, or the iconic lip lingerie with its incredibly pigmented matte finish, all provide a delicious pop of colour on the lips that will leave any lipstick lover happy. Each retail for $9 to $10. They say an artist is only as good as the tools they use, and it’s not different when it comes you applying your makeup. If you’re looking for a completely flawless and almost airbrush effect when applying your foundation, a beauty sponge is where it’s at. Treat your girlfriend to the Quo Airbrush Sponge this season. 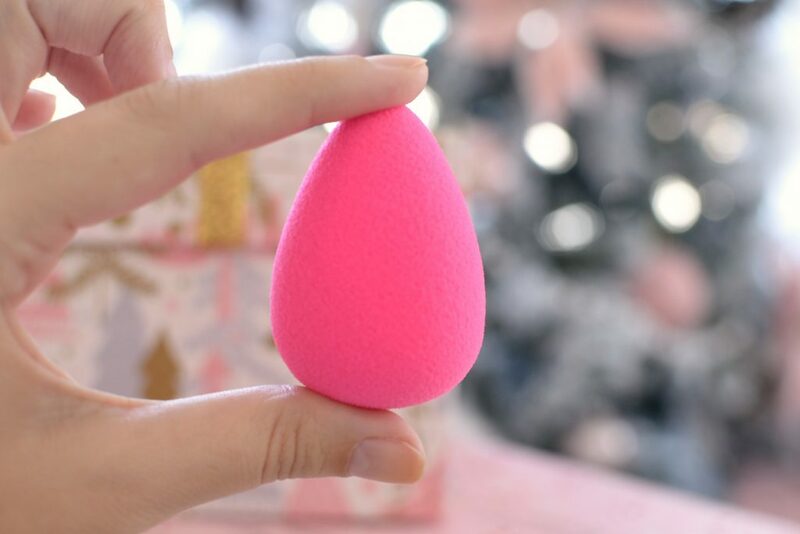 Its unique shape doubles in size when wet, and its soft and bouncy texture applies foundation like a dream. The slightly damp surface helps create a streak-free blending experience, creating a seamless finish on the skin with ease. The teardrop shape tip allows you to get into every crevice, even those hard to reach areas around the nose and eyes. Its incredibly soft texture allows you to blend out the foundation for a flawless effect with little to no work. It retails for $8. Attention all neutral makeup lovers. 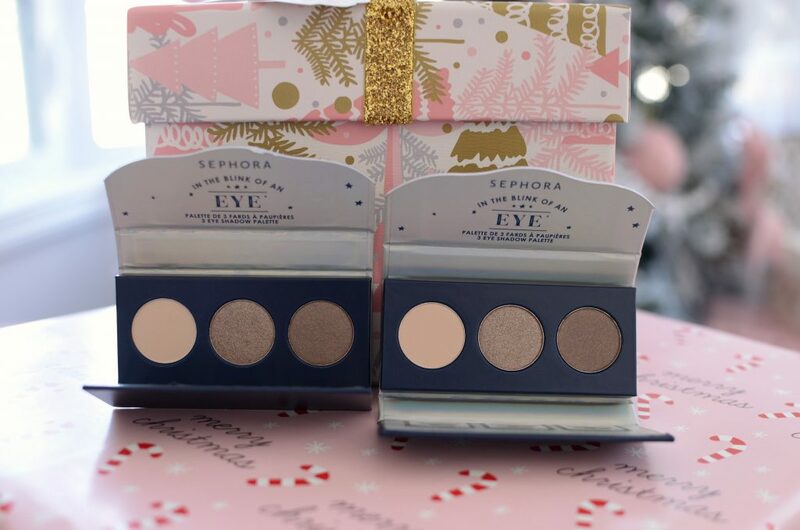 The new Sephora Collection In The Blink of and Eye Eyeshadow Palette features 3 easy-to-wear eyeshadow shades that are perfect for every day use. Its sleek and compact design makes it perfect for travels. With beige, tan and browns in both matte, satin and shimmer shades, the possibilities are endless. 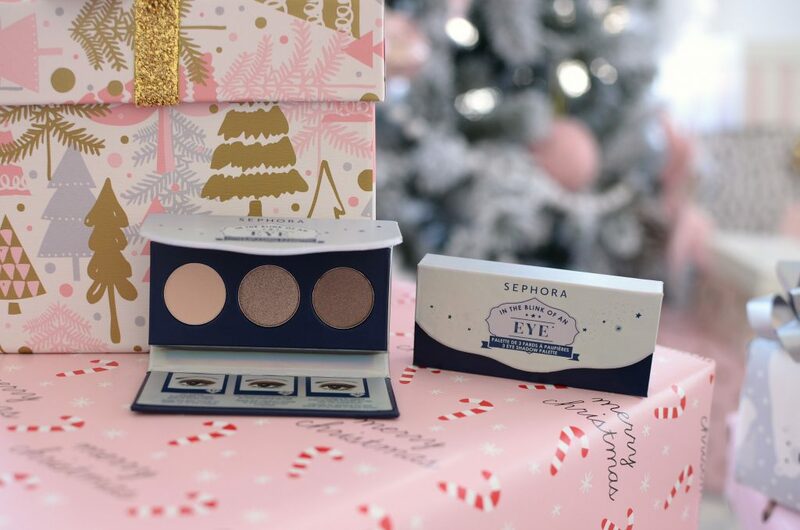 This 3-pan palette is perfect for all occasions, whether that be holiday parties, evening out with the girls or casual work looks. Its incredibly soft and creamy, highly pigmented formula delivers a super smooth application that’s rich in colour. As an added bonus, it’s also cruelty-free and not tested on animals. Each palette retails for only $6. I still remember the episode of Roseanne when Roseanne’s mom, Bev, told Darlene skin is a gift. I couldn’t agree more. It’s important to take care of it all year round, but especially in the dry, cold winter months. Comfortable, hydrated and nourished skin is the happiest, so treat your friends to the ultimate hand cream. A healthy moisture barrier is crucial for keeping skin healthy and glowing. 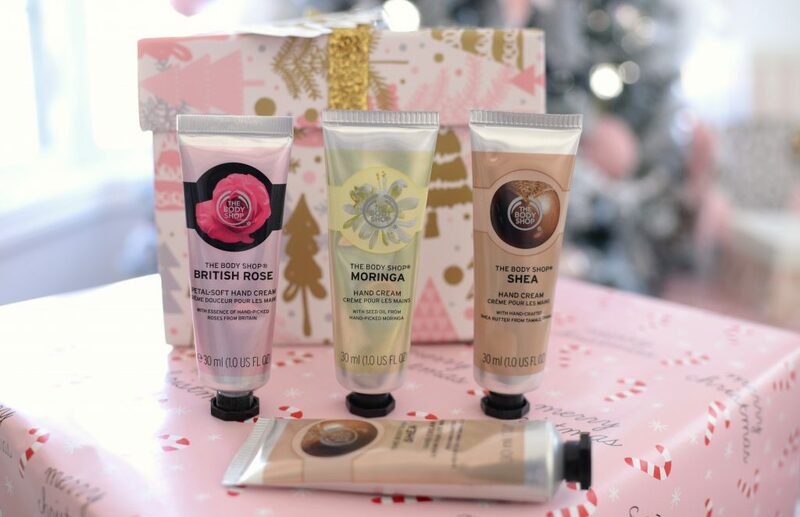 The Body Shop Hand Creams not only come in an array of scents and formulas, but its sleek and tiny packaging is perfect for your purse or desk. Its ultra-nourishing formula provides extreme moisture without a greasy or oily residue. Its buttery, soft and smooth texture absorbs into the skin quickly, protecting against dryness immediately. It leaves hands feeling invigorated and luxurious all day long. It retails for $10. Keeping with the healthy skin theme, lustrous and juicy lips are equally as important. 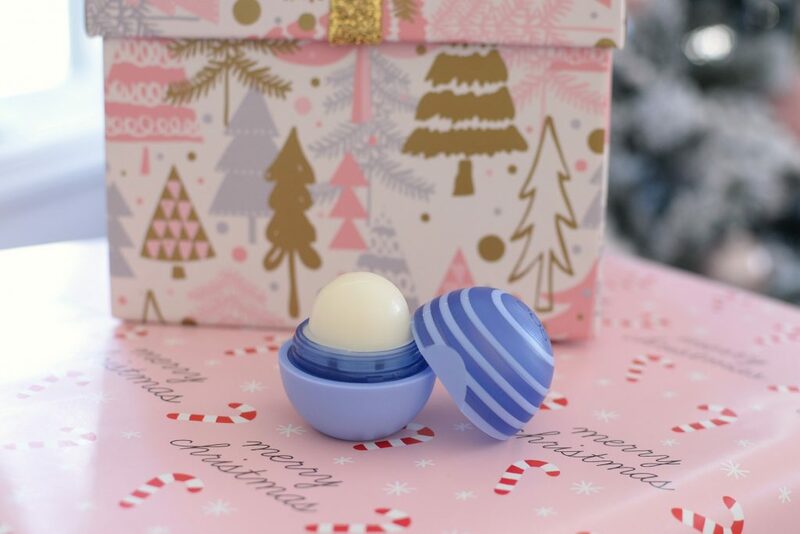 EOS lip balms are the choice by many, and with good reason. These round and colourful pods not only come in a rainbow assortment of flavours, but the product itself is 95% organic and paraben-free. 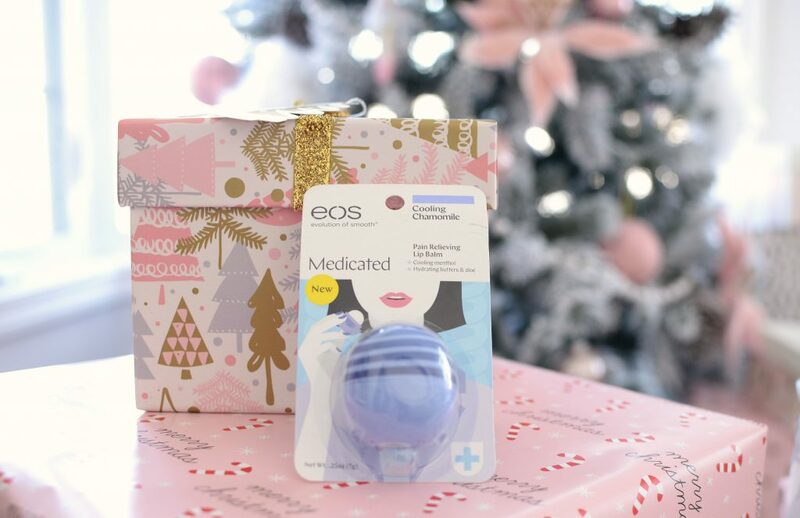 It’s made with a unique combination of vitamins, jojoba oil and shea butter to help keep lips soft, smooth and hydrated all day long. Your friends will love collecting these playful lip balms and for only $3.95 a piece, you’ll be able to treat them to a few flavours. You know it’s the most magical time of year when Live Clean releases their holiday liquid hand soaps. Its vitamin E and B formula ensures your loved one’s skin stays silky smooth and hydrated all season long. Vanilla Peppermint is a personal fave, but Holly Berry and Gingerbread Latte are equally festive and delicious. Its lightweight, extremely rich and creamy formula gently cleanses the skin with a foamy lather yet washes clean away. Skin is left feeling baby soft, smooth and moisturized. Each retail for $4.99 for 500ml. Although sheet masks may be a little more time consuming and finicky than other masks, it’s the perfect treatment for those looking to pamper and hydrate their skin. 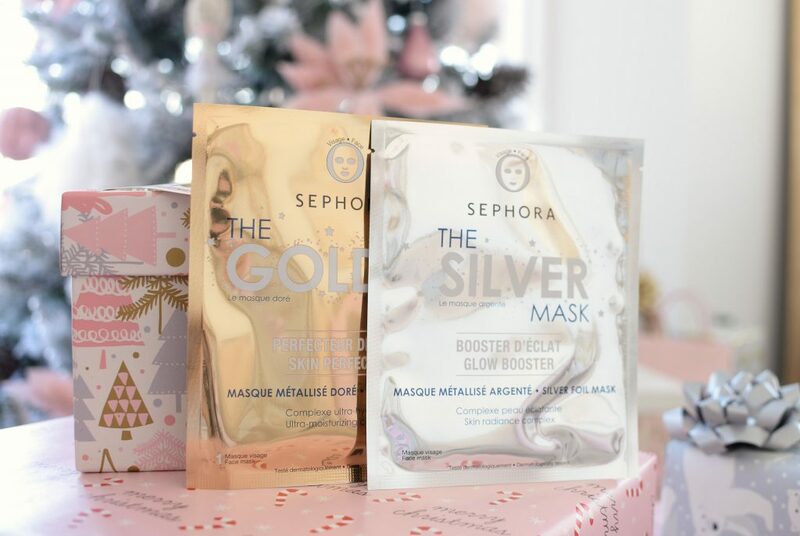 The new Sephora Collection limited-edition Supermask Golden or Silver Mask not only help to support skin’s natural radiance, it comes in a festive metallic packaging that just screams the holiday! Depending on which one you pick it, it will either contain honey extract to help reduce blemishes while hydrating the skin, or pearl extract to help brighten the skin leaving it radiant and glowing. Both masks feature a foil sheet design to help maximize the beneficial and skin-loving ingredient to penetrate deep into the skin. Skin is left looking visibly smoother, softer and ready to take on the evening. Each retail for $8. Although not a beauty product, I had to include some chocolate. It’s a sweet treat to pair up with any of these goodies above. 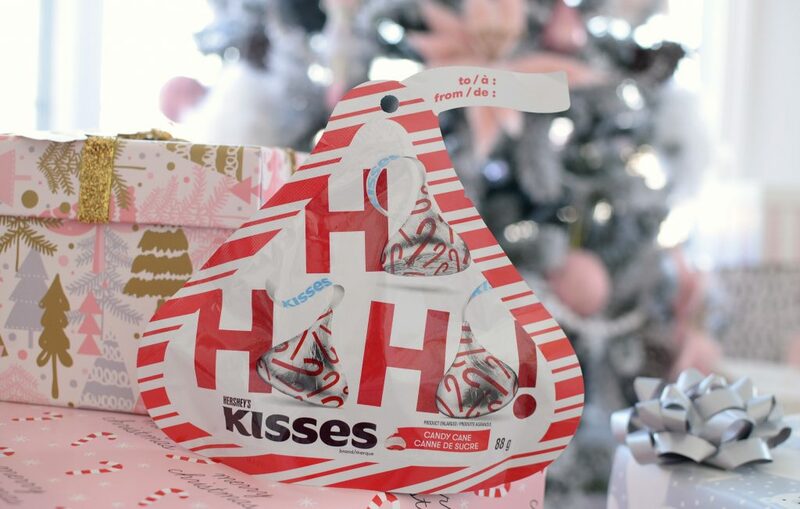 Shoppers Drug Mart offers a wide variety of delicious snacks, but a personal fave would have to be the Hersey’s Kisses in Candy Cane. It retails for $4.99.